Many hair products contain harmful ingredients that can damage to your hair and scalp. At ElitaHair of Beverly Hills their policy is to use only great natural ingredients without harmful chemicals. 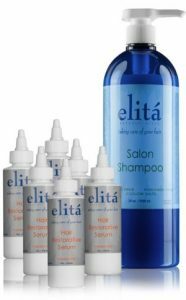 All ElitaHair products are made in the U.S. and are NOT tested on animals. They’re safe, healthy, natural and luxurious, but not at the usually high salon prices. Stuph File Program listeners have a special offer. Visit their website and use the promo code STUPH10 for a 10% discount. Each week on The Stuph File Program Bob Dorigo Jones from Center for America brings you his informative feature, Let’s Be Fair, featuring insight into some of America’s weirdest laws featuring wacky warning labels. You can hear the latest edition by clicking here on CenterForAmerica.org. The National Eating Disorders Association (NEDA) is the leading non-profit organization in the United States advocating on behalf of and supporting individuals and families affected by eating disorders.